With Season 2 on the way, 13 Reasons Why is officially breaking into uncharted territory. The series, an adaptation of the Jay Asher novel of the same name, became a surprise breakout for Netflix last year, prompting a second season pickup following the Liberty High School students dealing with the fall-out over Hannah Baker’s cassette tapes and the lawsuit between her parents and the high school. Dylan Minnette, who plays Clay on 13 Reasons Why, recently updated Yahoo! on Clay’s mindset in the second season, revealing that Clay is still struggling to move past Hannah’s death and the revelations in her tapes when the second season begins. While promoting his new Netflix film, An Open House, Minnette explained to Yahoo!’s Kevin Polowy that the second season of 13 Reasons Why takes places a few months after the conclusion of Season 1, something previously confirmed by the hit series. But he added that despite the time jump, a lot goes on during the gap, certainly making it sound as though we’ll be presented with a new set of flashbacks set during the time between Seasons 1 and 2. "You definitely saw Clay grow a lot in Season 1 in both the flashbacks and the present day. It's kind of like two characters," Minnette said, commenting on Clay's growth over the first season and how it continues into the second. "There’s a time jump. Season 2 is a couple months after Season 1, and there’s a lot that’s happened to Clay in between, and I think you’re playing catch up when you start, and you see where Clay’s at." He added that Clay will never really be able to return to total normalcy following the events in Season 1 — with Hannah and the revelations on the tapes. 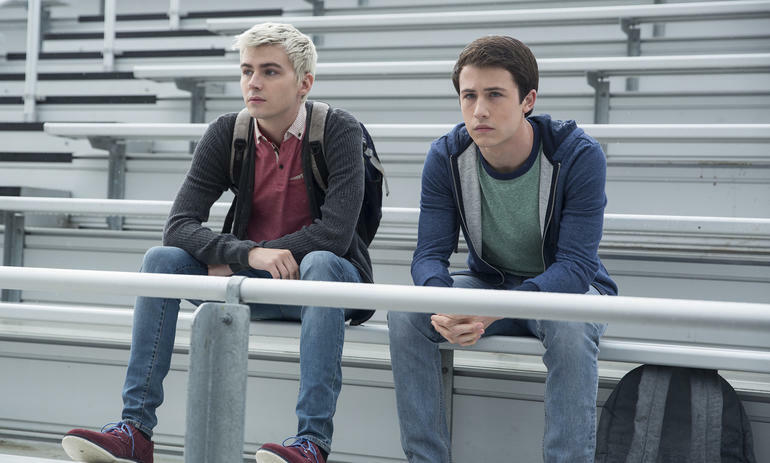 We’re certainly interested in seeing how the second season of the breakout series picks up where Jay Asher left off. We already know that Season 2 won’t see more tapes — despite Katherine Langford returning as Hannah Baker for the new season — and that we’ll be seeing a lot of new faces both in the courtroom and in the classroom. But after the controversy surrounding Season 1’s inclusion of a graphic suicide as well as criticism surrounding suicidal ideation, depression, and self harm, we’re also hoping the second season handles the traumas many of the characters — most notably Jessica (Alisha Boe), who learns she was raped while unconscious at a party during the first season, and Alex (Miles Heizer), who attempted suicide at the end of the first season and whose fate was left unknown — with a renewed sense of sensitivity and care. While Netflix hasn’t announced a release date for the series, the second season recently wrapped filming, so hopefully we’ll get a first glimpse soon!